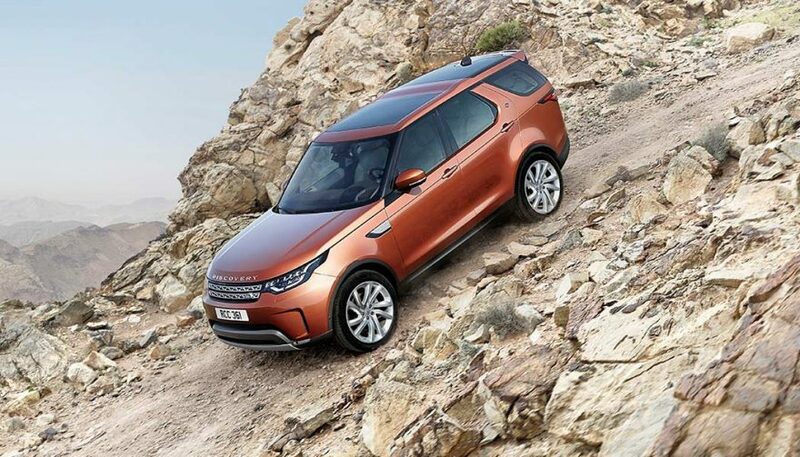 Roomy and sporty, the 2017 Land Rover Discovery is going to be an off-roading treat. The Land Rover is one of my irrational automotive obsessions, especially the “Discos.” In case you didn’t hear, Land Rover unveiled a new fifth generation for the Discovery, the LR5, and it introduces some sweeping changes. Instead of the evolutionary design from the LR3 to the LR4, this one is completely revolutionary. Gone is the boxy body, not a huge surprise considering the Discovery Sport debuted with a similarly swoopy layout. We still don’t have all the details about the Discovery, but here are some of the more interesting points so far. Everyone’s looking to shed some pounds these days. 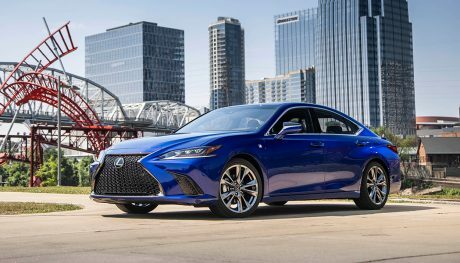 There are advantages to lightweighting, like fuel economy and emissions. Land Rover says it dropped about 1,058 pounds by using more aluminum in the Discovery’s structure compared to the LR4. Everyone knows more ground clearance is good for an off-roader. Despite what some Jeep fans think, there are people who take their Land Rover through rugged areas, and I’m not talking about the local mall parking lot after a snow storm. At the same time, if you’ve tried to climb into a Jeep with 32-inch tires and a lift kit, you know it can be difficult. The suspension can be lowered to a mere 1.5 inches, so getting into and out of the Disco is super easy. That’s also good news for parents with young children. Speaking of trail capabilities, it sounds like the new Discovery will still have plenty of off-road chops. The wading depth is 35 inches, without mods. Ground clearance is 11.14 inches, with the suspension at its highest setting. The approach angle is 34 degrees, departure is 30 degrees and breakover is 27.5 degrees. The SUV also features Terrain Progress Control, which is like low-speed cruise control for off-roading, letting you set a crawl speed so you concentrate on other things when negotiating tricky areas. I’m big and my kids are big, so I’m super critical of legroom and headroom in SUVs, especially when it comes to the third row. Land Rover is one brand that gets the needs of tall people. Even with the sleeker exterior, all three rows are supposed to be roomy enough so I can sit in any seat without feeling squished. From what I’ve seen of the interior, that’s true. If you look closely, the roofline is stepped, which works with the theater seating, giving everyone a great view without sacrificing space. When it comes to cargo, the total volume is about the same as in the LR4. I thought for sure it would be less, but that sleek design doesn’t cut into the rear area. Storage is scattered all over in the vehicle. 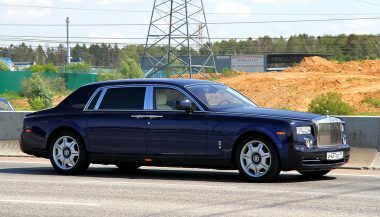 Most notable is a hidden compartment in the center console. Land Rover says it can hold up to four iPads at once, so you can stow a good number of valuables in it, away from prying eyes. Another clever feature is the Powered Inner Tailgate in the rear. The short panel folds down to create a small bench. It can actually hold up to three adults, which is great news for heavier people like me. Honestly, I can’t sit on most lawn chairs because their weight rating only goes to 200 pounds, so I’m pumped about this design. You can use the platform to change muddy shoes or just chill in the open air. Another thing I detest in cars is a cluttered center stack. Land Rover nailed it, eliminating about a third of the physical switchgear from the LR4. The functions that were controlled by buttons and knobs are accessible through the infotainment touchscreen. I haven’t used the system yet, so I can’t say how user-friendly it is, but here’s to hoping it’s good. I’m all for technology, but having features just to be “exclusive” and not for a real purpose is ridiculous. When I first heard about the Intelligent Seat Fold, my first thought was it’s a useless toy. Basically, it lets you fold down the seats remotely into several possible configurations. Thinking about it, using your smartphone to fold the seats into a certain configuration could be useful. Say you’re inside a store, buying a big item, and you really don’t want to play reconfigure the seats while you set that item down in the parking lot. This technology avoids that problem. When it comes to connectivity, Land Rover will include 3G WiFi. That means you can use the SUV as a giant router, connecting your phone, tablet or whatever else to the Internet while on the move. I was hoping for 4G, because you can get that on a Chevy these days. Land Rover says up to eight devices can connect to the WiFi at once, which is plenty. You should have connectivity just about everywhere, except incredibly remote places where you go to get away from email and social media. 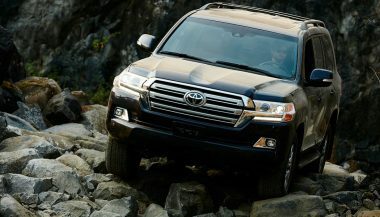 The Disco can also be loaded with up to nine USB ports, plus half a dozen 12-volt power outlets. Some automakers still don’t get that Mom and Dad aren’t the only ones with devices that need to be charged, but Land Rover seems to understand that fact. One of the most compelling tech features of the Discover is the activity key wristband, which is waterproof. It looks kind of like a Fitbit Flex, so it’s discrete. Hold it up to the “D” on the tailgate and it will lock or unlock the doors. When the regular key is left inside the vehicle and you lock up with the wristband, the regular key is deactivated. Soon, we should know even more about the Land Rover Discovery, and eventually will be able to take one for a spin. 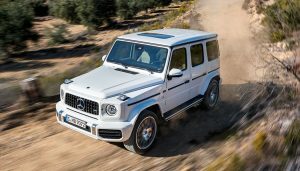 For now it sounds like an impressive continuation of a legendary SUV, one that will take you on as many adventures as you have the stomach for. From the headlights to the 360-degree camera view, new off-road technology is changing new cars and SUVs, making it safer for you and the vehicle. 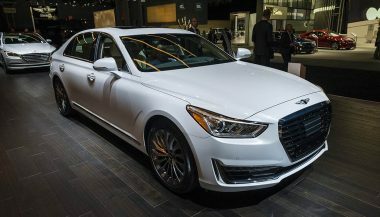 Hyundai's Genesis brand is the first to offer Amazon’s Alexa service. On G80 and G90 models, owners perform everyday functions with speech commands. GPS tracker technology allows owners to locate their vehicle on-demand and use that tech to report theft and find their stolen car faster.